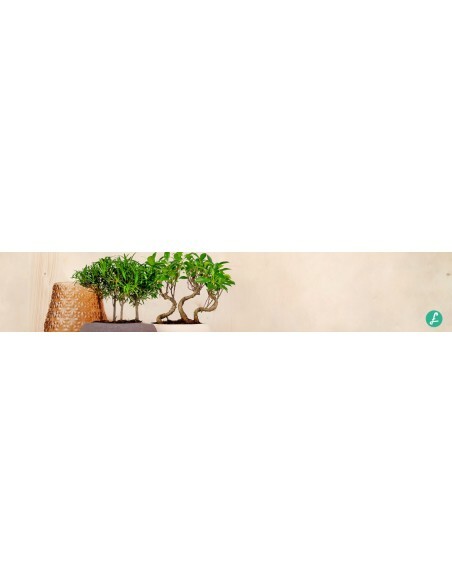 Choose from the wide selection of indoor bonsai that we have reserved for you! Beautiful for all tastes, great for creating a green corner in your apartment or in your office! 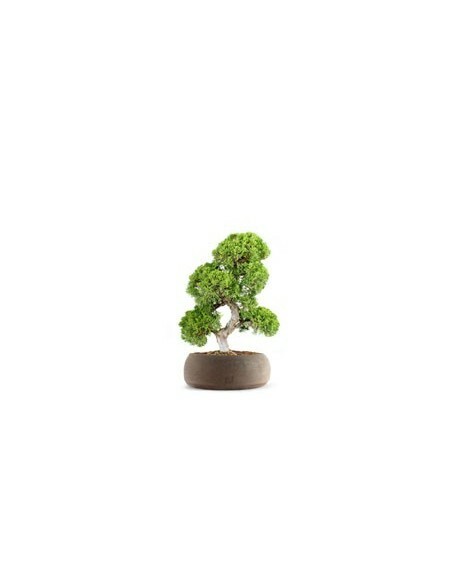 Most Bonsai must be placed outside, like normal trees. 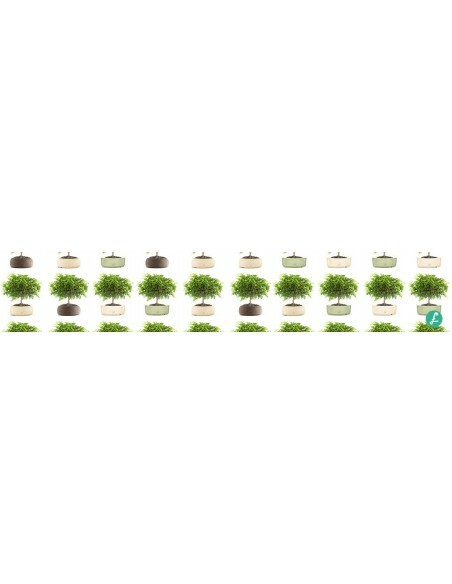 In this category you will find a wide range of outdoor bonsai, different sizes and ages! 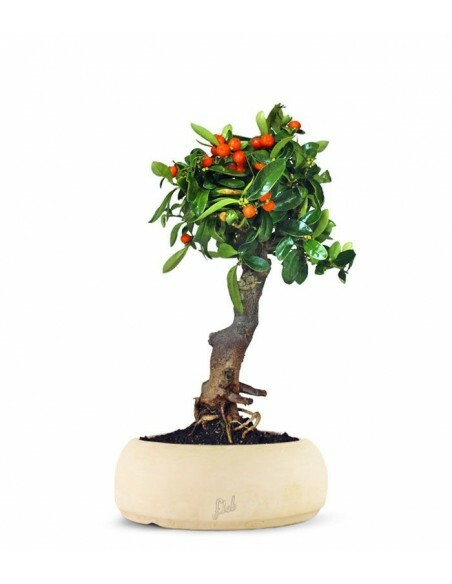 Citrus Bonsai are among the favorite plants for beginners and enthusiasts: they are suitable for taking different styles, such as those with degrading or sloped stems. The flowers mark the beginning of the production of small fruits with colors ranging from light yellow to bright orange. 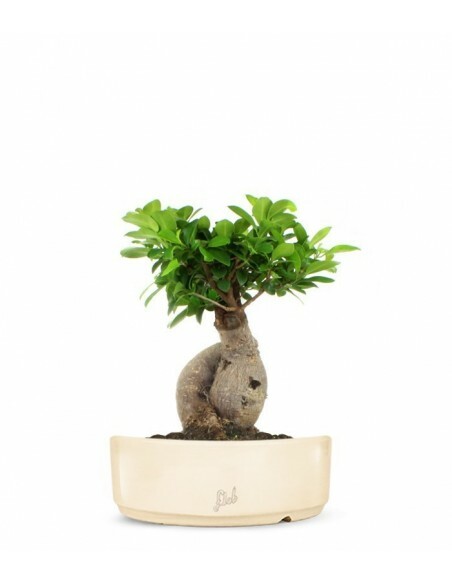 Ficus Ginseng: a name, a certainty! An unmissable variety among bonsaists from all over the world, so much so that it has even taken on the quality of a piece of furniture or design in recent years. 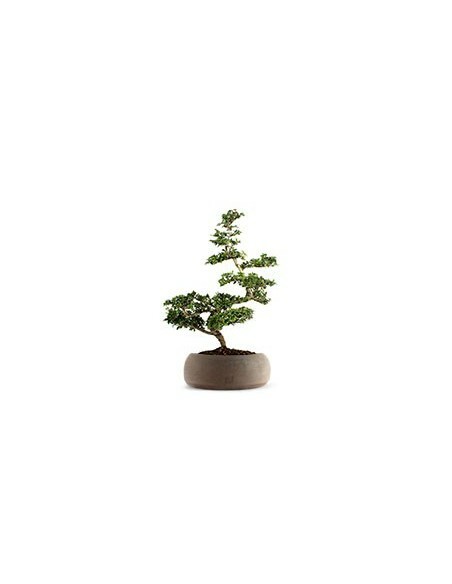 We all know it as one of the most resistant and at the same time intriguing bonsai thanks to its splendid roots. But what does the name ginseng actually derive from? And why does it have this particular appearance? 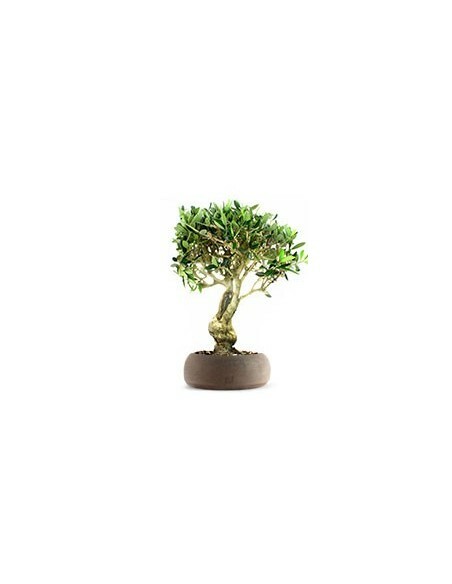 Bonsai Tree Olive, the literature informs us that it was initially a shrub: its transformation into a tree occurred after the intervention and treatment of man. The shrub requires a constantly drained but not moist soil, with continuous watering essential to show its evergreen soul. Name: Myrtus CommunisFamily: MirtaceeCountry of origin: Mediterranean countries Blooming period: Spring (April-May) History and fun facts: The myrtle contains an essential oil called maltol used to fight cough. Name: Juniperus ItoigawaFamily: CupressaceaeCountry of origin: Cina, Giappone, MongoliaBlooming period: Spring History and fun facts: its greenish berries turn into brown buttons when ripening. Name: Azalea JaponicaFamily: EricaceaeCountry of origin: Japan Blooming period: Spring (April-May) History and fun facts: it is an elegant bonsai tree which offers spectacular blooms. Name: Beaucarnea Nolina recurvataFamily: AgavaceaeCountry of origin: Central AmericaVessel Diameter: 20 cmBasin base height: 40 cmFlowering period: rareHistory and curiosity: The name "Smoke-eater" comes from the fact that this plant has the ability to absorb harmful gases and fumes. Name: Cherry treeFamily: RosaceeCountry of origin: Europe and Asia Pot diameter: 15 cmHight: 30cm History and curiosities: The flower of the cherry tree in Japan is considered national flower. It is widely used in art and literature. Name: BougainvilleaFamily: NyctaginaceaeCountry of origin: BrasilPot diameter: 20 cmHeight: 35 cmHistory and curiosities: Beautiful flowering in the spring. Name: Pepper tree groveFamily: AnacardiaceaeCountry of origin: Sud AmericaPot diameter : 20cmHeight: 40cmBlooming period: SummerHistory and fun facts: It's one of the most selling bonsai ever for its easy care and its shape. Name: Crassula Ovata HobbitFamily: CrassulaceaeOrigin: South AfricaFlowering period: SpringPot Diameter: 20 cmHeight: 45 cmCuriosity: It is also known as "Jade Tree". It is a shrub-like, ramified plant, which can exceed 1 m in its natural habitat. Crassula compacta: a wonderful succulent that will amaze you! Name: Crassula CompactaFamily: CrassulaceaeOrigin: South AfricaFlowering period: SpringPot Diameter: 20 cmHeight: 45 cmCuriosity: It is also known as "Jade Tree". It is a shrub-like, ramified plant, which can exceed 1 m in its natural habitat. Crassula compacta: a wonderful succulent that will amaze you!